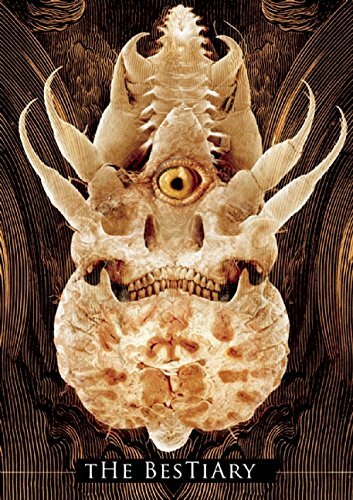 9781613471333 | Centipede Pr, March 1, 2016, cover price $150.00 | About this edition: A modern bestiary of made-up fantastical creatures organized from A to Z, along with an ampersand and an invisible letter, featuring some of the best and most respected fantasists from around the world, including Karen Lord, Dexter Palmer, Brian Evenson, China Mieville, Felix Gilman, Catherynne M.
9780143107767 | Reprint edition (Penguin Classics, October 6, 2015), cover price $17.00 | About this edition: Two terrifying classics by “the best kept secret in contemporary horror fiction” (The Washington Post) Thomas Ligotti’s debut collection, Songs of a Dead Dreamer, and his second, Grimscribe, permanently inscribed a new name in the pantheon of horror fiction. 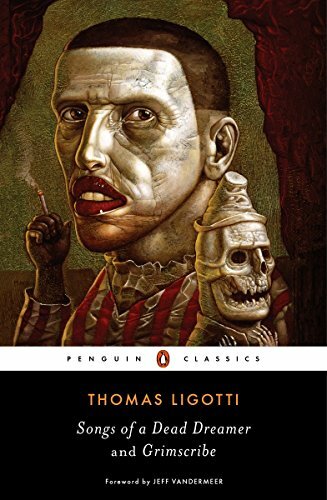 9781621051855 | Eraserhead Pr, May 1, 2015, cover price $15.95 | About this edition: "Michael Cisco is of a different kind and league from almost anyone writing today, and The Narrator is Cisco at his startling best. 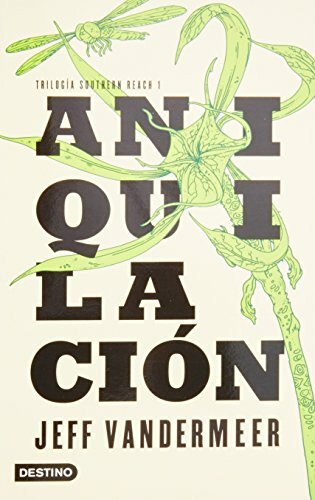 9786070721861, titled "AniquilaciÃ³n / Annihilation" | Planeta Pub Corp, February 3, 2015, cover price $22.95 | About this edition: El Ãrea X es un lugar remoto declarado zona de catÃ¡strofe medioambiental. 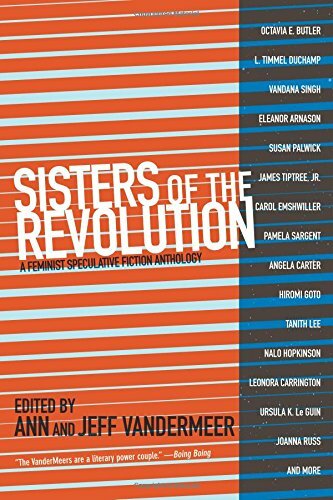 9781629630359 | Independent Pub Group, June 1, 2015, cover price $15.95 | About this edition: Sisters of the Revolution gathers a highly curated selection of feminist speculative fiction (science fiction, fantasy, horror, and more) chosen by one of the most respected editorial teams in speculative literature today, the award-winning Ann and Jeff VanderMeer. 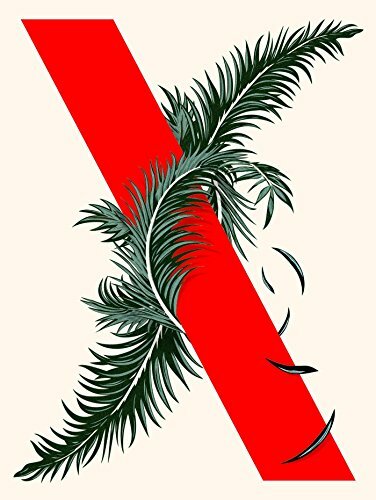 9780374261177, titled "Area X: Annihilation / Authority / Acceptance" | Farrar Straus & Giroux, November 18, 2014, cover price $35.00 | About this edition: In time for the holidays, a single-volume hardcover edition that brings together the three volumes of the Southern Reach Trilogy, which were originally published as paperback originals in February, May, and September 2014. 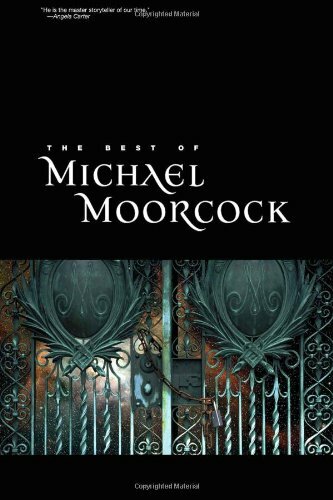 9781483083933 | Unabridged edition (Blackstone Audio Inc, November 18, 2014), cover price $54.95 | About this edition: [Read by Carolyn McCormick, Bronson Pinchot, and Xe Sands] If J. 9780374104115 | Farrar Straus & Giroux, September 2, 2014, cover price $15.00 | About this edition: It is winter in Area X, the mysterious wilderness that has defied explanation for thirty years, rebuffing expedition after expedition, refusing to reveal its secrets. 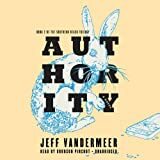 9781483016030 | Unabridged edition (Blackstone Audio Inc, September 2, 2014), cover price $34.95 | About this edition: [Read by Carolyn McCormick, Bronson Pinchot, Xe Sands]In the final installment of the Southern Reach Trilogy, the mysteries of Area X may have been solved, but their consequences and implications are no less profound or terrifying. 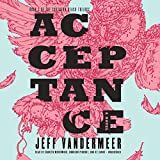 9781483016016 | Unabridged edition (Blackstone Audio Inc, September 2, 2014), cover price $90.00 | About this edition: It is winter in Area X. 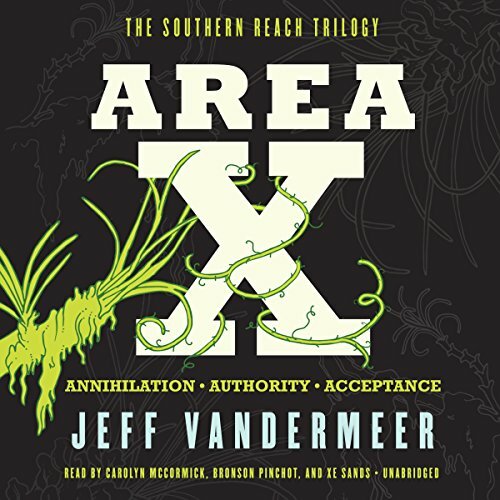 9781483016023 | Mp3 una edition (Blackstone Audio Inc, September 2, 2014), cover price $29.95 | About this edition: [Read by Carolyn McCormick, Bronson Pinchot, Xe Sands]In the final installment of the Southern Reach Trilogy, the mysteries of Area X may have been solved, but their consequences and implications are no less profound or terrifying. 9780374104108 | Farrar Straus & Giroux, May 6, 2014, cover price $15.00 | About this edition: After thirty years, the only human engagement with Area X―a seemingly malevolent landscape surrounded by an invisible border and mysteriously wiped clean of all signs of civilization―has been a series of expeditions overseen by a government agency so secret it has almost been forgotten: the Southern Reach. 9781482987447 | Mp3 una edition (Blackstone Audio Inc, May 6, 2014), cover price $29.95 | About this edition: [Read by Bronson Pinchot]The bone-chilling, hair-raising second installment of the 'Southern Reach' Trilogy. 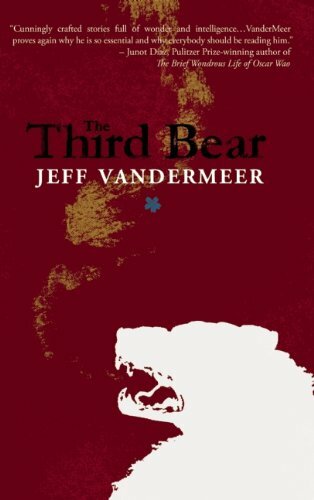 9781482987430 | Unabridged edition (Blackstone Audio Inc, May 6, 2014), cover price $34.95 | About this edition: [Read by Bronson pinchot]The bone-chilling, hair-raising second installment of the 'Southern Reach' Trilogy. 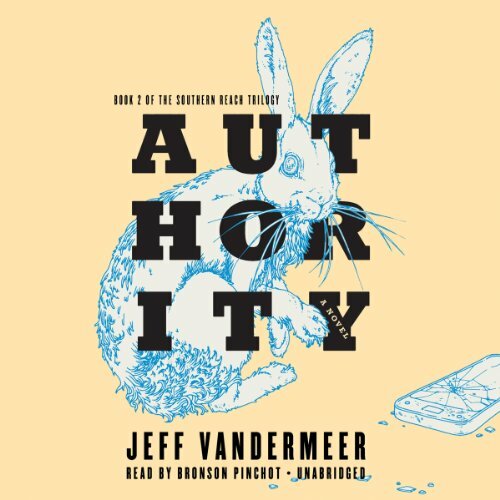 9781482987454 | Unabridged edition (Blackstone Audio Inc, May 6, 2014), cover price $100.00 | About this edition: The bone-chilling, hair-raising second installment of the Southern Reach Trilogy For thirty years, a secret agency called the Southern Reach has monitored expeditions into Area X--a remote and lush terrain mysteriously sequestered from civilization. 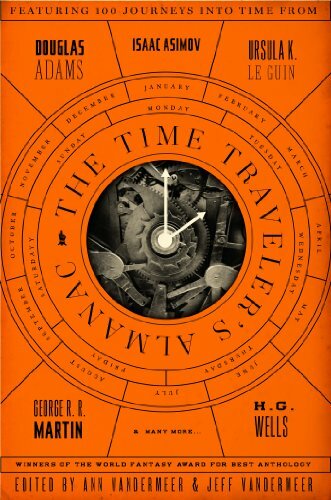 9780765374219 | Tor Books, March 18, 2014, cover price $37.99 | About this edition: The Time Traveler's Almanac is the largest and most definitive collection of time travel stories ever assembled. 9780765374240 | Tor Books, March 18, 2014, cover price $25.99 | About this edition: The Time Traveler's Almanac is the largest and most definitive collection of time travel stories ever assembled. 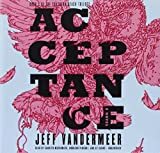 9781482956733 | Unabridged edition (Blackstone Audio Inc, February 4, 2014), cover price $55.00 | About this edition: [LIBRARY EDITION Audiobook CD format in sturdy Vinyl Case with cloth sleeves that keep compact discs protected. SOON TO BE A MAJOR MOTION PICTURE The Southern Reach Trilogy begins with this Nebula Award-winning novel that "reads as if Verne or Wellsian adventurers exploring a mysterious island had warped through into a Kafkaesque nightmare world" (Kim Stanley Robinson).Area X has been cut off from the rest of the continent for decades. Nature has reclaimed the last vestiges of human civilization. The first expedition returned with reports of a pristine, Edenic landscape; the second expedition ended in mass suicide; the third expedition in a hail of gunfire as its members turned on one another. The members of the eleventh expedition returned as shadows of their former selves, and within weeks, all had died of cancer. 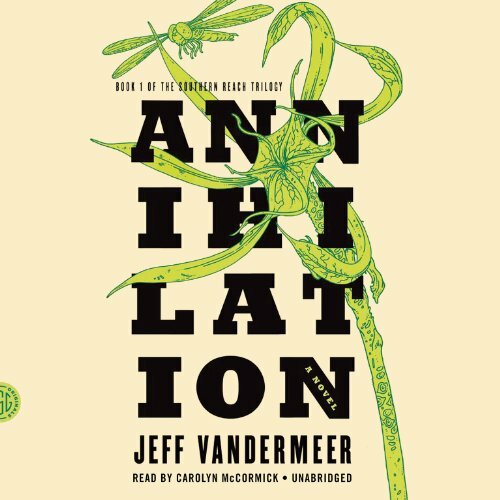 In Annihilation, the first volume of Jeff VanderMeer's Southern Reach trilogy, we join the twelfth expedition. The group is made up of four women: an anthropologist; a surveyor; a psychologist, the de facto leader; and our narrator, a biologist. Their mission is to map the terrain, record all observations of their surroundings and of one another, and, above all, avoid being contaminated by Area X itself. 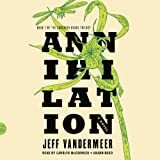 They arrive expecting the unexpected, and Area X delivers―they discover a massive topographic anomaly and life forms that surpass understanding―but it's the surprises that came across the border with them and the secrets the expedition members are keeping from one another that change everything. 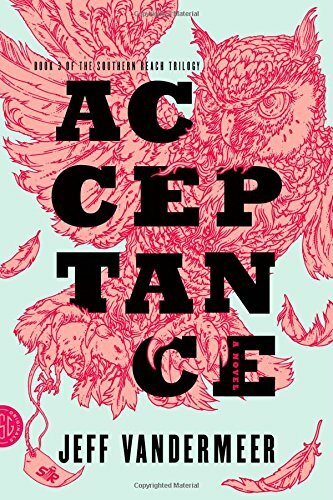 9780374104092 | Farrar Straus & Giroux, February 4, 2014, cover price $13.00 | About this edition: SOON TO BE A MAJOR MOTION PICTURE The Southern Reach Trilogy begins with this Nebula Award-winning novel that "reads as if Verne or Wellsian adventurers exploring a mysterious island had warped through into a Kafkaesque nightmare world" (Kim Stanley Robinson). 9781482956740 | Mp3 una edition (Blackstone Audio Inc, February 4, 2014), cover price $29.95 | About this edition: [MP3-CD audiobook format in Vinyl case. 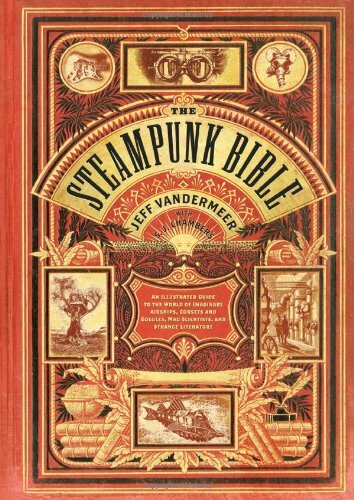 9781419708206 | 16m wal edition (Harry N Abrams Inc, August 6, 2013), cover price $13.99 | About this edition: Steampunkâa grafting of Victorian aesthetic and punk-rock attitude onto various forms of science-fiction cultureâis a phenomenon that has come to influence film, literature, art, music, fashion, and more. 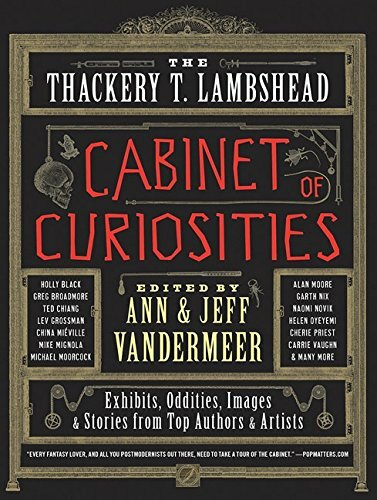 9780062004758, titled "The Thackery T. Lambshead Cabinet of Curiosities: Exhibits, Oddities, Images & Stories from Top Authors & Artists" | Harpercollins, July 12, 2011, cover price $22.99 | About this edition: âSome of the most interesting fantasist-fabulists writing today. 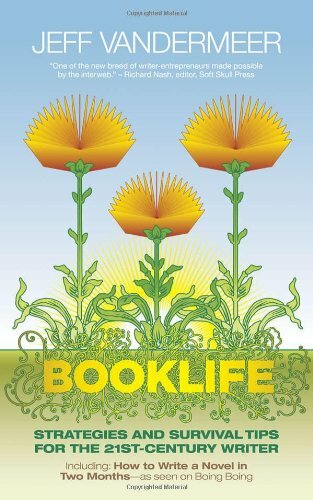 9780062116833 | Reprint edition (Harpercollins, July 10, 2012), cover price $14.99 | About this edition: âSome of the most interesting fantasist-fabulists writing today. 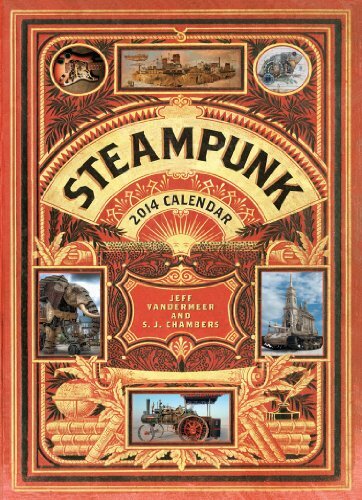 9780810989580 | Harry N Abrams Inc, May 1, 2011, cover price $24.95 | About this edition: Steampunkâa grafting of VictorianÂ aesthetic and punk rock attitude onto various forms of science-fiction cultureâis a phenomenon that has come to influence film, literature, art, music, fashion, and more. 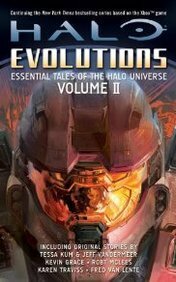 9780765366955, titled "Halo Evolutions: Essential Tales of the Halo Universe" | Reprint edition (Tor Books, November 1, 2010), cover price $7.99 | About this edition: The original Halo: Evolutions, split into two volumes. 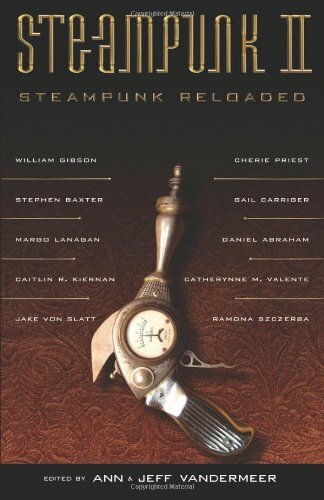 9781616960018, titled "Steampunk Reloaded: Steampunk Reloaded" | 1 edition (Tachyon Pubns, November 15, 2010), cover price $14.95 | About this edition: Gentle Readers, after the outraged letters following our first volume, I would be remiss not to warn you. 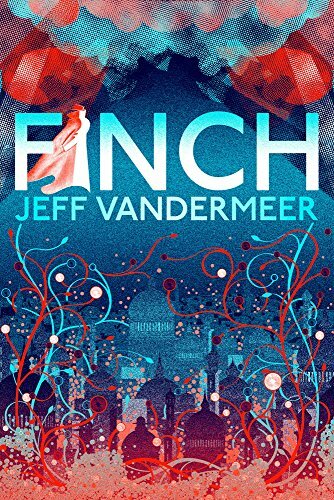 9781848877634 | Atlantic Books, August 1, 2010, cover price $27.95 | About this edition: Tasked with solving an impossible double murder, detective John Finch searches for the truth among the war-weary ruins of the once-mighty city of Ambergris. 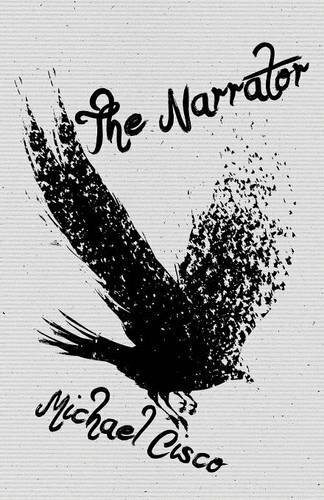 9780980226010 | Original edition (Underland Pr, November 3, 2009), cover price $14.95 | About this edition: In Finch, mysterious underground inhabitants known as the gray caps have reconquered the failed fantasy state Ambergris and put it under martial law. 9781892391988 | 1 edition (Tachyon Pubns, July 15, 2010), cover price $14.95 | About this edition: Compared by critics to Borges, Nabokov, and Kafka, contemporary fantasist Jeff VanderMeer continues to amaze with this surreal, innovative, and absurdist gathering of award-winning short fiction. 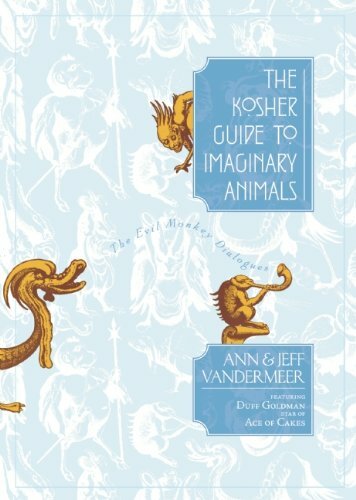 9781892391926 | Tachyon Pubns, April 1, 2010, cover price $11.95 | About this edition: A perfect gift book, this sumptuously illustrated and whimsically bite-sized bestiary is the definitiveâin fact, onlyâguide to the kosherness (kashrut) of imaginary animals. 9781892391902 | Tachyon Pubns, October 15, 2009, cover price $14.95 | About this edition: The world has changed, and with it the craft of writing. 9781892391865 | Tachyon Pubns, May 15, 2009, cover price $14.95 | About this edition: From the legendary author of the Elric saga, a Science Fiction Grand Master, a platinum albumÂreceiving rock star, and the controversial editor of the new waveâs New Worlds, this definitive collection captures the incomparable short fiction of one of science fiction and literatureâs most important contemporary writers.